Once back in Hanoi, and feeling a little more worn for the ride, I started considering my options. Rain was moving into Hanoi, and the temperature had dropped to a not so balmy 12ºC. The prospect of a warm, tropical beach and a smooth, 18-knot afternoon breeze sounded like a heaven too hard to resist. Screw this motorcycle thing — I’m going kiting! Enter Lori and Kalen, a mother taking her son for a motorcycle adventure. This wasn’t their first trip. A few years ago, Lori rode down Central America from their home in New Mexico with a fourteen-year-old Kalen on the back of their KLR, but this was to be Kalen’s first trip riding on his own. Anyway, we met at the shop where I bought Минск 1 (aka Larisa) and Lori convinced me to go riding a little more with them. I invited a Canadian named Dylan whom I had met the day before to come along, and, thus, we had a gang. We left Hanoi before dawn, to try to avoid the deadly traffic and road dust of Highway 6. Our early departure gave us a glimpse of what goes on in the city before it wakes. We passed one man making a delivery of four freshly slaughtered pigs all stacked on his scooter — one of the many memorable moment when a camera was not handy. En route to Mai Chau, our first stop, my bike was still acting up even after having it repaired once more. Lori let me ride her Minsk, and it put in perspective the gravity of the piecofshitosity of my bike The rear end was vibrating to death, the motor was running rough, and it didn’t seem like it was going to get me very far. When we got to Mai Chau I was feeling pretty gloomy about the future of my bike, when Lori rode up on a different Minsk for sale in town by a local mechanic shop and in very good shape. After some negotiations, I got the Hanoi shop to take Larisa back, and I bought the brand new used Minsk — it was even the same color! With my new wheels, I decided to continue on with the group, and we headed south to seek warmth and evade the rain. Our route took us through amazing landscapes of rice paddy fields dotted with Karst mountains. It really looks like time has stood still in these places — Vietnamese farmers till the land with wooden plows pulled by water buffalo. They wear their typical straw hats and wade through the rich mud barefoot. These farmers harvest the rice three to four times a year in Vietnam, much more than in surrounding Cambodia and Laos. On one of the legs of our trip, we decided to take a shortcut, climbing over a hill, as opposed to following the Song Ma river, and cutting off 20 km or so of riding. We looked at the map and had a group consensus on which road to take. That all would have worked out fine had we actually taken that route, but instead we turned off the pavement at a road that took us on a longcut. The scenery was gorgeous, but as the gravel turned to red clay mud, the adventure turned a little more serious than we had bargained for. Everyone in the group except for Kalen ended up laying their bike down in the mud, and pretty much the only way to navigate through the muck was to put your feet out like outriggers and work the throttle gingerly (no touching the brakes). We managed to get of the mountain before dark but barely. A nice family took us in, killed a chicken for us, and cooked a big meal. We tried our best to strike up a conversation using our phrasebooks, but didn’t get much beyond age, family relation, and such. They wouldn’t let us pay to spend the night, but we did pitch in on the chicken. This entry was posted on March 16, 2011 by 21stcenturyhobo. 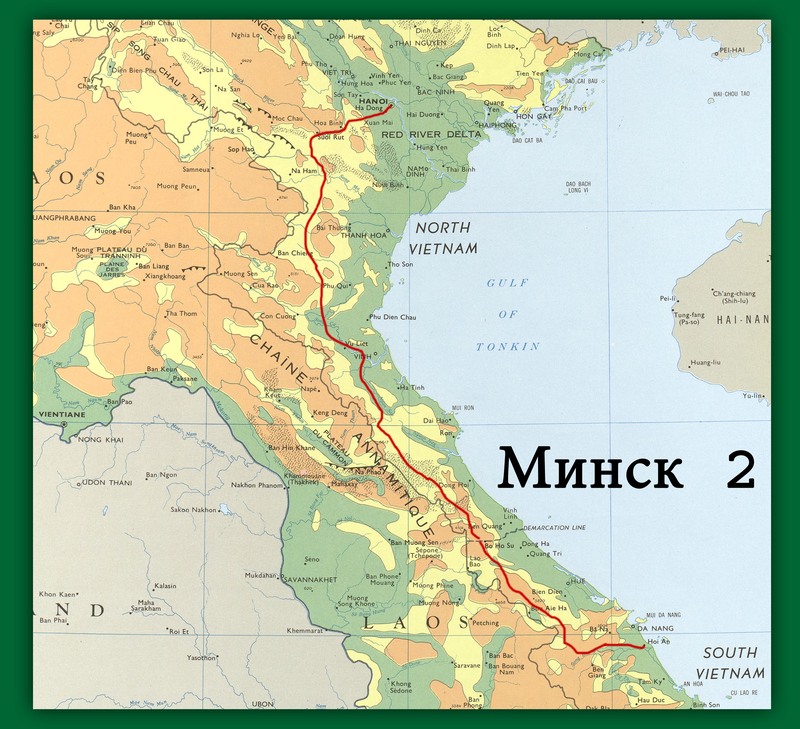 It was filed under Minsk, Vietnam . Wow….you are going to be able to publish some great memoirs.